Britain's National Parks - what's your favourite? Britain is home to some fabulous countryside but the jewels in its crown are undoubtedly its 15 National Parks, the country's 'breathing spaces' – areas of mountains, moorland, wetlands and coast where the environment enjoys protected status. National Parks Week, running this year from 22 July to 29 July, is an annual celebration of the Parks' natural bounty, and an invitation to experience them first-hand with a host of events and activities. You can find out more about what's on here, but in the meantime here's a slightly random list of some our favourite places to visit in Britain's wonderful national parks. As Dales waterfalls go, these are not so much high and dramatic as wide and picturesque – plus they were the backdrop for one of the fight Kevin Costner's 1990s Robin Hood romp. A bit of a schlep to get there, but this is probably our favourite UK beach – bar none. Indeed it's sometimes hard to believe such a beach exists in the UK. The waters are as clear and ranked as highly as they come, and the surrounding pine trees and sand dunes give the beach an intimate, isolated feel. The only herd of reindeer in the UK who have free reign to roam around in their natural habitat – and they're busy in December so now's the time to visit! The views of the South Downs from the top of the tree canopy here are fabulous, and you can even take a picnic up into the treetops with you for a lunch you’ll never forget. Outdoor activities to help tourists and locals discover the natural beauty of the magical area around Exmoor and the North Devon coast. They have an exclusive licence to access some of the trust's more remote tracks, exploring gorgeous landscapes, intriguing wildlife and rugged coastlines in comfort and style, with a luxury picnic enroute. New to the Lakes? Then climb this dramatic rock path from Grasmere to a summit that's just made for clambering about and shouting into the wind. An enormous moorland amphitheatre several hundred feet deep and a mile across that provides magnificent view across the moors. It can be easily accessed form a nearby national park car park. But what any decent day demands is a walk right around the Hole, through heather moorland that bursts into a purple blaze in summer. 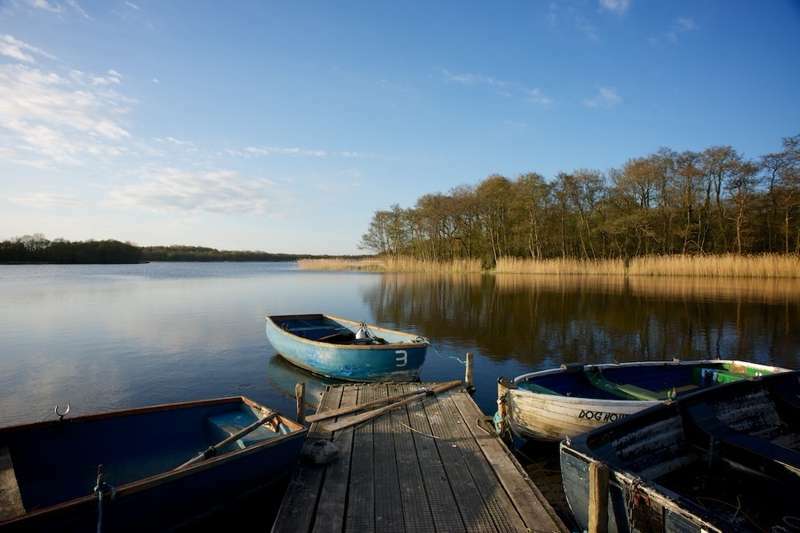 A beautiful spot from which to explore the Broads' quiet, hard-to-get-to corners, on various marked paths, and on board the nearby national park-run Electric Eel – an electrically powered boated whose regular trips among the high reeds and narrow channel are truly magical. One of the Peak District's most romantically dramatic hills, and with an the equally impressive approach through the steep, deep Winnats Pass. Who needs a car when the best way to get around the New Forest really is by bike or on this environmentally friendly series of three circular summer bus routes.